The bird’s-eye view sends a thrill of anticipation, poised as we are above Tokyo’s dramatic skyline. Can the food possibly live up to this? 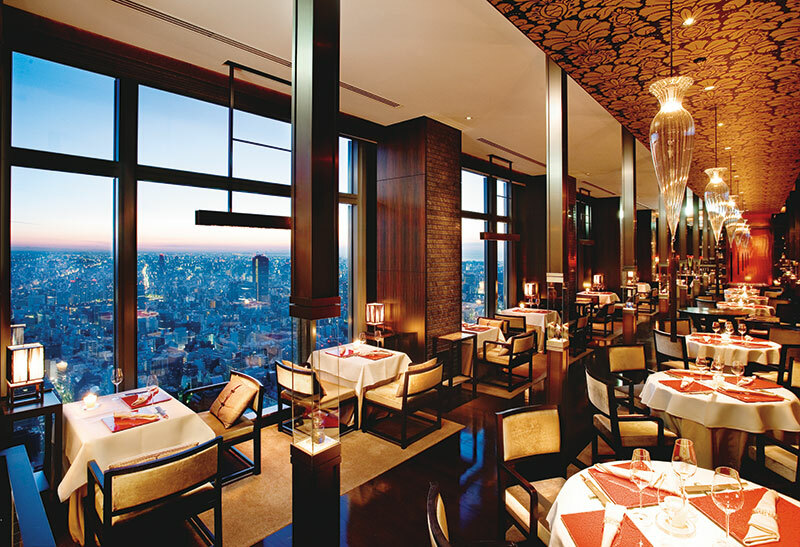 Mandarin Oriental, Tokyo occupies the top floors of the Nihonbashi Mitsui Tower in the city’s covetable and historic Nihonbashi area. Sense, their Michelin-starred modern Cantonese restaurant, is poised on the 37th floor which has become a food destination in itself, offering several eateries. Witness here an amalgamation of the Japanese love of design and its respect for hospitality. Descending from the lobby, a central sculpture made up of what looks like roots and barks arrests the attention. Sculptures that are a throwback to MO’s Sino roots, fluid lines and modern materials make this a superbly designed space. Sense in Cantonese means ‘fan’, a throwback to the hotel chain’s affinity for this accessory. Once you have finished gawping at the view, the pink-tiled wall with the lotus motif, the glass lampshades from Murano and the Chinese artworks take over, creating a feeling of quiet and comforting luxury. In this atmosphere of relaxed calm, we partake of Chef Tokukatsu Toh’s tasting menu, served in plates, platters and bowls that are almost too good to eat off and with a precise and efficient service that spells years of practice. 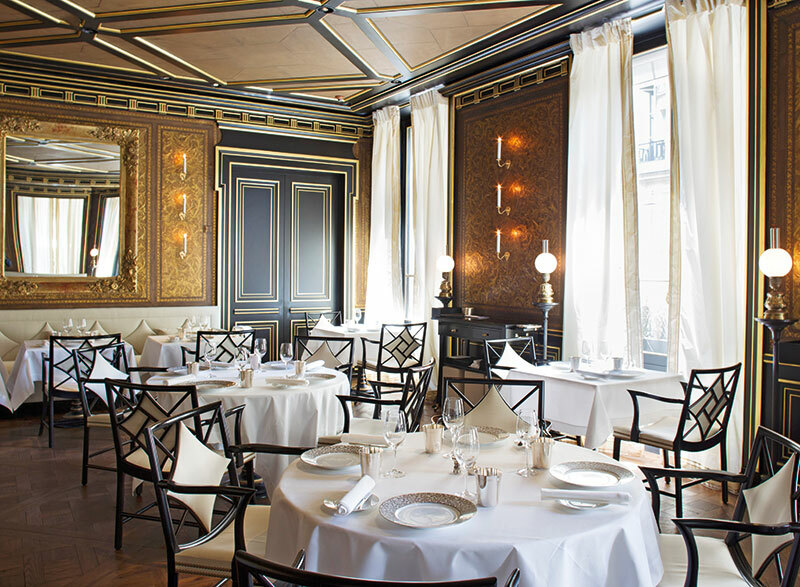 The maître d’hôtel and the servers never miss a beat, displaying an almost severe efficiency. To begin with arrive individual plates of artfully decorated barbecued meats, jellyfish and pickled vegetables, each a delicious mouthful. Next is the steamed Okinawa star grouper with spicy soya bean paste. A bowl of steamed egg custard with swallow’s nest and king crab is hearty, hot and satisfying, the egg custard tender on the palate. The braised, fresh whole abalone with oyster sauce provides a taste of a crustacean that I have not commonly eaten. The highlight of the meal is the poached sliced Japanese beef sirloin with BBQ sauce, cooked rare to perfection. In the style of Chinese dining, at this point arrives a light and delicious noodle soup with shrimp wontons and vegetables. The meal ends with the popular mango pudding that is light and cool and Chinese petit-fours. 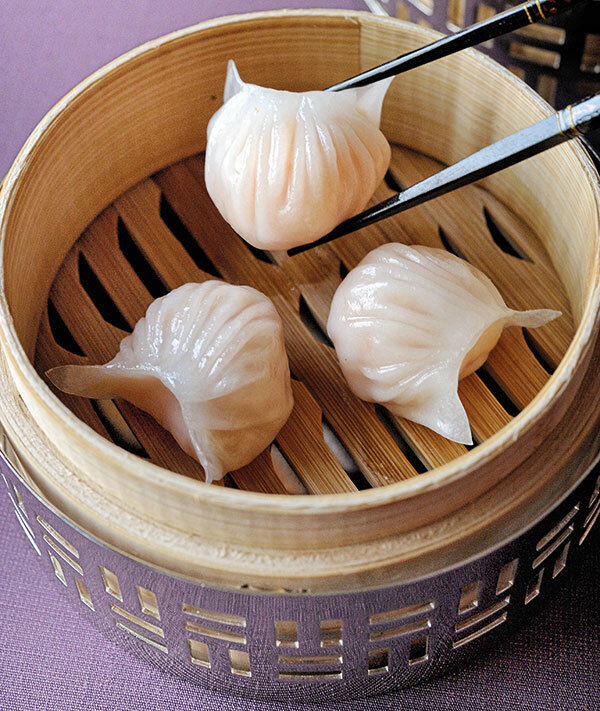 The flavours, authentic and yet contemporary, are as light and airy as Chinese silk and the plating as attractive. Each dish is presented like an art work that, however, disappears very quickly and to great satisfaction. This fine-dining restaurant boasts an undue advantage, being located in the rarefied environs of Michel Reybier’s La Réserve Paris Hotel and Spa, which has the feel of a private urban mansion and is a member of The Leading Hotels of the World (LHW). The hotel’s classical 19th-century Parisian decor, with its opulent leather and velvet, is echoed in the hushed interiors of the restaurant that serves executive chef Jerome Bantel’s exquisitely contemporary French cuisine. 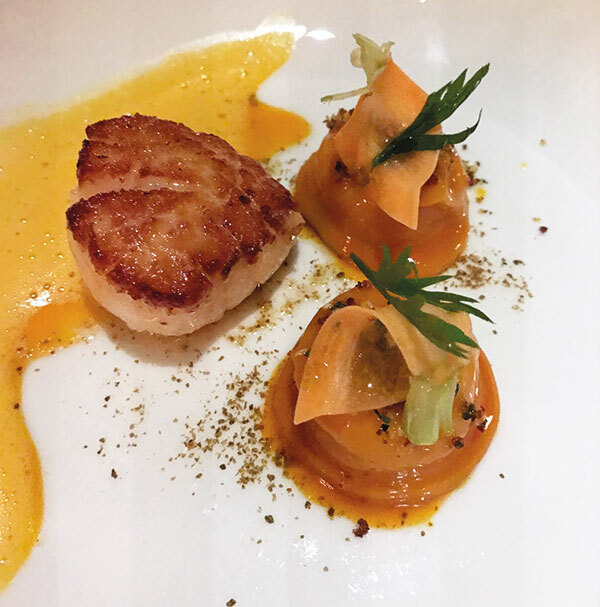 In a city that reveres gastronomy and has much of it, Le Gabriel stands out with its refined flavours as well as its lively, attentive service. A native of Brittany, Bantel has worked alongside some of the greatest chefs perfecting his mastery of traditional French cuisine. His travels in Japan have influenced him greatly. While striving for authentic flavours, he adds surprise elements to classics with playful influences from other cuisines. The plating invites wonder and you ask, “How did he create this?” This is probably an oft-asked question for I am told lightly that these are the secrets of the kitchen, never to be divulged. Oh well! There is no secrecy however about the deliciousness of the fare at this two-Michelin-starred eatery. As we sip on some refreshing Michel Reybier champagne and wines, a veritable line-up of tasting dishes emerges from the mysterious caverns of the kitchen. An amuse-bouche of foie gras makes for a great beginning. This is followed by Norwegian salmon served with ravioli of smoked eggplant and cream of ziste — a dish replete with flavour. The declinaison de cepes is delicious while the roasted scallops with carrot and orange juice reduction with pink peppercorn is definitely a star of the evening. Line-caught turbot glazed with verjuice, watercress coussinets and Osetra gold caviar is followed by pigeon from Vendée with cocoa and buckwheat tagliatelle, cooked rare to perfection and served with a joke about the bird being caught at the nearby square. A fine 24-month-aged comté pairs beautifully with sourdough bread — made in heaven! Even as we decide that we can have no more come two desserts, both excellent in taste and texture — a raspberry millefeuille and a coffee bean meringue with birch syrup ice cream — variations of classical French desserts. A memorable meal indeed and one for the picture albums! This uber-luxurious restaurant located on the 25th floor of the iconic Mandarin Oriental, Hong Kong, is Pierre Gagnaire’s outpost in this city. Here, in an ambience of charcoal, cherry, blue, black and silver, in a room lit by a chandelier that changes colours according to the mood, is served his modern French cuisine. While Gagnaire visits the restaurant thrice in the year, this two-Michelin-starred establishment has retained its status in the recently published list, much to everyone’s delight, under 29-year-old chef de cuisine, and Gagnaire’s protégé, Jacky Tauvry, a native of Brittany. We cannot resist calling the handsome young man out of his domain to give him a hand on this achievement. 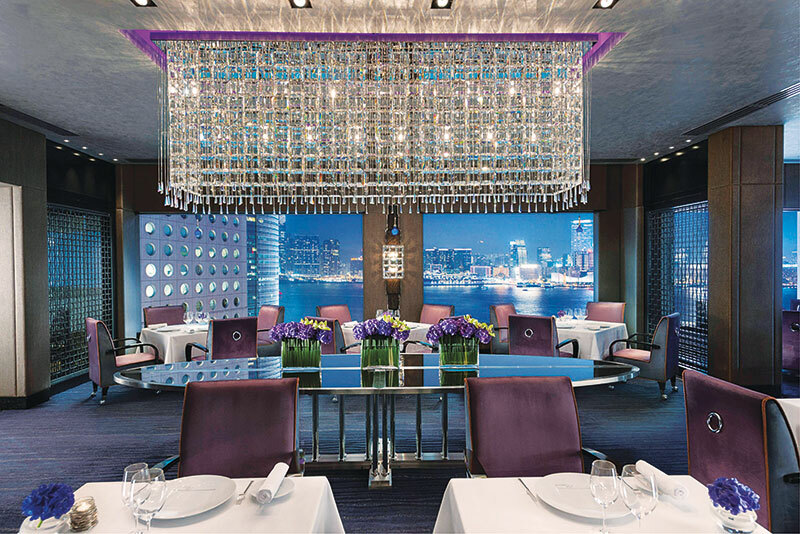 Pierre’s private dining room, like the main dining area, overlooks Victoria Harbour and stupendous views. We enter to a glass of champagne and some delicious tiny bites that range from fish to cheesy nibbles. A four-course tasting menu has us enthralled by the fresh yet traditional flavours. We start with a carpaccio of red tuna Torino that deliciously whets our appetite for the rest of the meal. 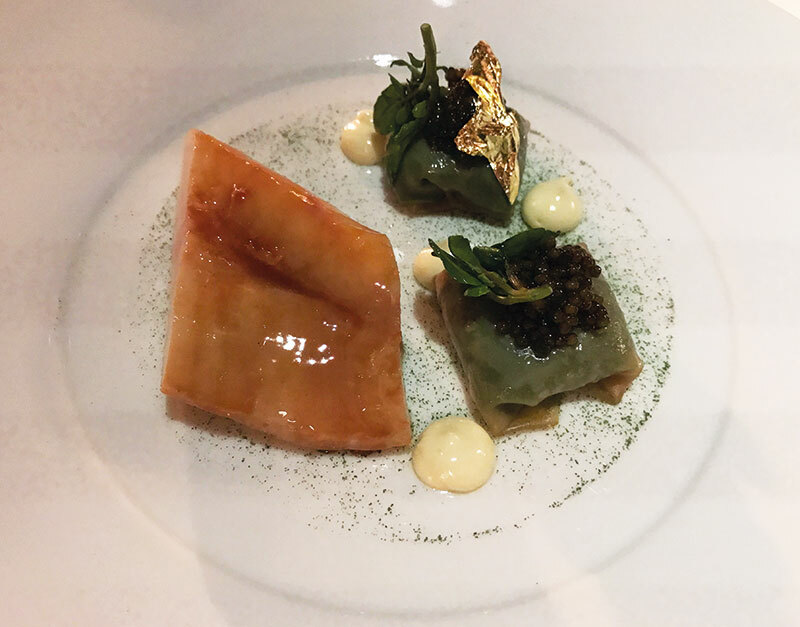 This is followed by cep tart with tonka bean, caviar of eggplant with black garlic and velvety spinach, a dish that is so pretty, it is difficult to break into. The other choice, which I have, is endive prospero, a soup of foie gras with Sauternes. This is perhaps one of the finest dishes I have ever had; need I say more? 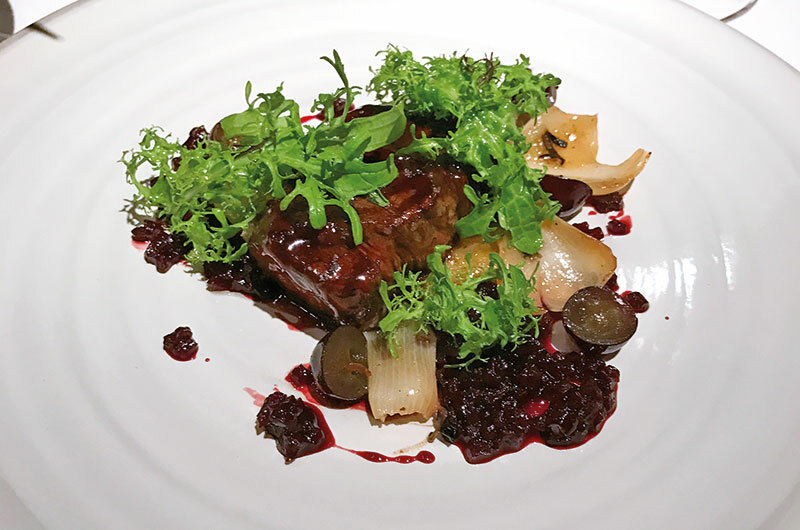 The main course includes roasted grouse breast with lardo di Colonnata and juniper, grapes and raisins served with a fondue of sweet onion and Colman’s mustard and red beetroot. Looking at the satisfied faces around, I can tell that this is as exceptional as the grilled heart of rib-eye with a delicious shallot confit and cabbage leaf gratinated with cheddar with a touch of beef jus. Delicious! Pierre Gagnaire is known for his Grand Dessert which is now served. Four individual desserts for each one, ranging from a fruity berry sorbet with hidden layers to a chocolate dessert that we are requested to have last due to its strong flavour. We could not have been more satiated!